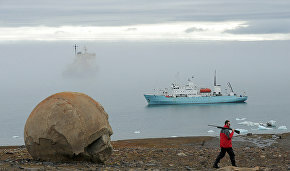 A research group of the Arctic Floating University expedition landed on Fersman Island, in the central part of the Franz Josef Land archipelago, and conducted fieldwork by taking rock samples, expedition head Konstantin Zaikov told TASS. "Landing on Fersman Island, surprisingly, had more than we expected. We have received interesting results on paleomagnetism and carbon dioxide emissions. 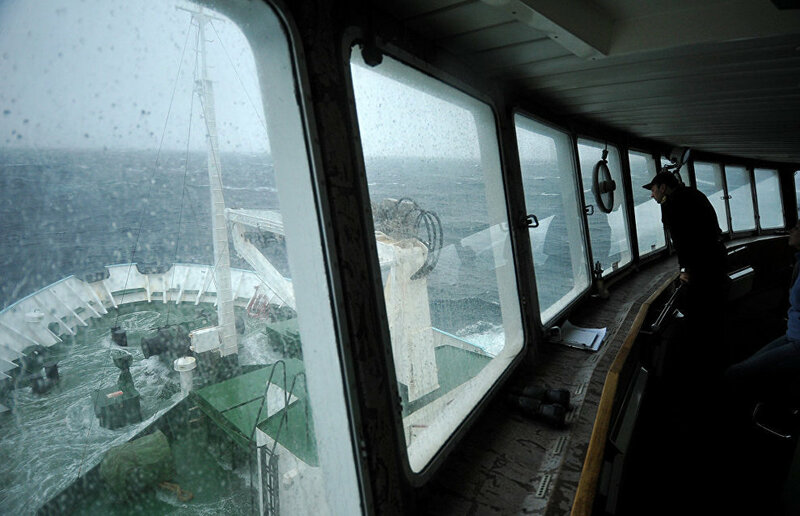 This data will be further processed on the mainland," Zaikov said. The group initially planned to land on Heiss Island, but was forced to abort the landing because of a polar bear. The researchers were evacuated. The small Fersman Island is located opposite Heiss Island, and the work was done there. The geological expedition group took over 40 different rock samples. "We've taken paleomagnetic samples from interstratal dolerite bodies (subvolcanic rock — TASS), and samples of dolerite contact with the enclosing rocks. We have done even more than planned. We think the work has been very successful. Everything we have found is essential for understanding local geology. 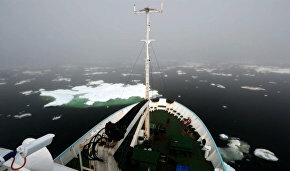 The small island turned out to be very informative," geologist Nikolai Mikhaltsov, a researcher from Novosibirsk State University, told TASS. According to Mikhaltsov, these samples will be studied in laboratory conditions. In particular, the research will require a special chamber isolated from the geomagnetic field. The Arctic Floating University scientific and educational project is an expedition of students and teachers of the Northern (Arctic) Federal University (NArFU) in Arctic seas on the Professor Molchanov vessel. The journey offers participants an opportunity not only to receive theoretical knowledge but also to put it into practice.